Phew! What a hectic couple of days! Moved most of my stuff into the studio on Friday (thanks Dad!) and did a vintage fair in Hertford on Saturday! More studio prep today too- I’m getting there! Parking for craft classes on a Wednesday evening should be ok on the street if there’s space. Beginners (7 to 7.55pm) could park in the right hand part of the yard if there’s room and Improvers (8 to 8.55pm) could park on the left. Friday crafters (10 to 11 am) will probably have to park in the public car park or in the yard if there’s room. Looking forward to seeing those that have signed up for classes soon! 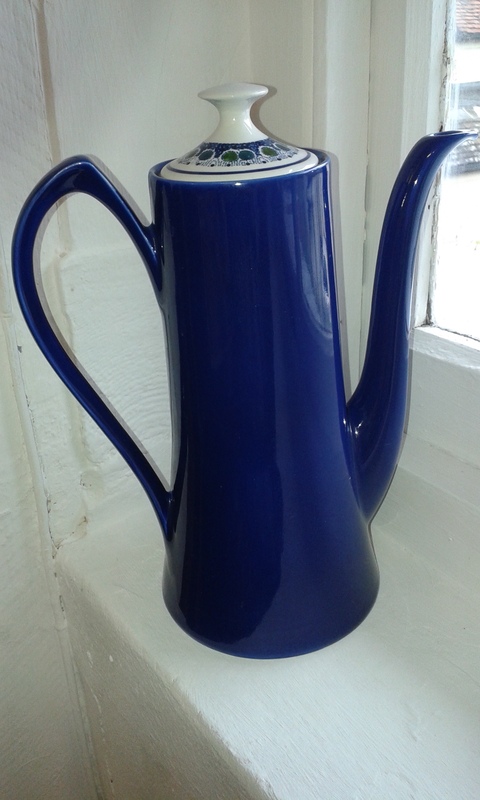 Here’s a lovely coffee pot that I couldn’t bear to sell in the end! It looks fab in the studio! !